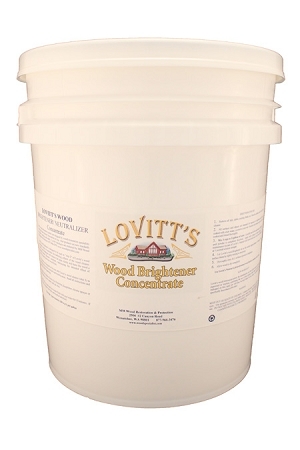 Lovitt's Contractor Bucket of Wood Brightener is packaged for the professional wood restoration contractor. 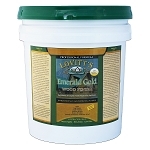 Concentrated granules Wood Brightener bucket mixes up to 105 gallons of professional wood brightener to brighten/neutralize up to 21.500 square feet of wood surface! 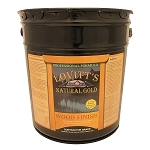 This product is designed to be used with Lovitt's Wood Cleaner (Step #1) to neutralize and brighten wood surfaces following the use of the wood cleaner.